The single best element of choosing eShield attic insulation over other manufacturers is that all products are backed by a lifetime guarantee. 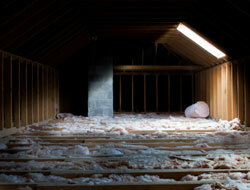 If your radiant barrier insulation has any problems, eShield will replace it for you. Also, if your blown-in fiberglass home insulation ever settles or decreases in R-Value, eShield will top it off for you to return the original R-Value. So, when you turn to eShield, you can rest assured that your investment is well protected. If you’re interested in having Green Machine replace the attic insulation in your Jacksonville home, please contact us today for a free consultation and pricing estimate.